For the last two years, ALBA’s Teachers Institute in Tampa, Florida, has focused on the needs of social studies professionals (generally history teachers), helping them to imagine and develop classroom approaches to the study of the Spanish Civil War and its global significance. This summer’s week-long institute encouraged teachers to write their own assignments and lesson plans tied to the Spanish Civil War, and teachers were asked to devise something they would use with their own students. Some teachers of advanced placement courses designed structured writing assignments (document based questions) using ALBA’s unique primary sources, including letters written by U.S. volunteers in Spain. Other teachers created lesson plans for one, two, three, or five days. Toward this end, we prepared the teachers with an explanation of how the Florida state curriculum standards could be tied to the subject of the Spanish Civil War. We selected and organized specific Florida social-studies “benchmarks” to help them think of lessons and to help them justify studying the Spanish Civil War to administrators who want to know how classroom activities are meeting state requirements. For high school teachers, there are straightforward connections to Florida social-studies benchmarks in U.S. history, world history, and generic history skills. For middle-school teachers, the Spanish Civil War can help students meet Florida’s benchmarks in civics and geography as well as historical skills. 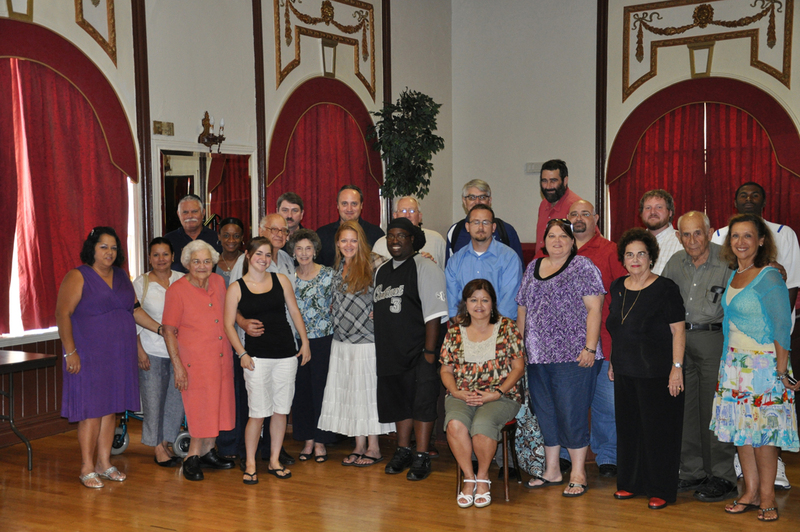 The second Tampa teachers' institute included a field trip to the Centro Asturiano, the main center of pro-loyalist activity during the Spanish Civil War in Tampa. During their visit teachers were shown the Republican flag that flew over the building through the end of the war. In addition, they obtained oral histories about activities within the city's Latin community from former members the local Popular Front Committee: Delia Sanchez, JosÃ© R. Oural, Aida Gonzalez, Elvira Garcia and Angel RaÃ±on. Not only do teachers expect to use this information in their classes but in several cases they have made plans to invite these local activists to meet with their students. The sessions also included discussions about the teaching issues surrounding the Spanish Civil War. For example, does it change how students respond to the material when the end of the war in Spain is seen as a tragedy rather than the standard triumphal story of U.S. history textbooks? We also discussed how to engage students through both personal approaches (Why would people risk their lives thousands of miles away for other people they don’t know?) and larger issues (Why would a country ignore an emerging humanitarian crisis?). Sometimes the benchmarks help in making connections. One Florida high school benchmark, for instance, focuses on international responses to genocide and so raises questions about human rights issues tied to the Spanish conflict. The result of the Tampa summer institutes shows that many experienced teachers need just a little help imagining classroom use. With that assistance, they can devise activities on the Spanish Civil War that are rich, rigorous, and engaging for students. Nearly all the teachers expect to implement these ideas during the coming school year. 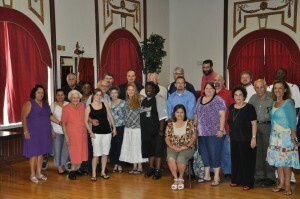 ALBA’s Tampa Teachers Institute was directed by Fraser Ottanelli and Robert Alicea. Peter Carroll led the first day workshops. We selected and organized specific Florida social-studies “benchmarks” to help them think of lessons and to help them justify studying the Spanish Civil War to administrators who want to know how classroom activities are meeting state requirements. Sherman Dorn is a professor in the Department of Psychological and Social Foundations of the College of Education at the University of South Florida.